PESHAWAR: Khyber Pakhtunkhwa government on Tuesday decided to start safari tourists train from Peshawar to Takht-e-Bahi in Mardan. The decision was taken by senior Minister Khyber Pakhtunkhwa for Tourism and Culture, Muhammad Atif Khan during meeting with senior officials of Pakistan railway here at Tourism Corporation office. It was agreed that the historical British era train track between Nowshera to Dargai will be restored mutually by the KP government and the Pakistan Railway. After which the safari train will be started to take the tourists to the Buddhist era ruins. The Takht-e-Bhai ruins have been declared as the Unesco world heritage site in Takht-e-Bhai. “The role of the Pakistan railway is important in the revival of tourism in the province,” said Atif Khan. 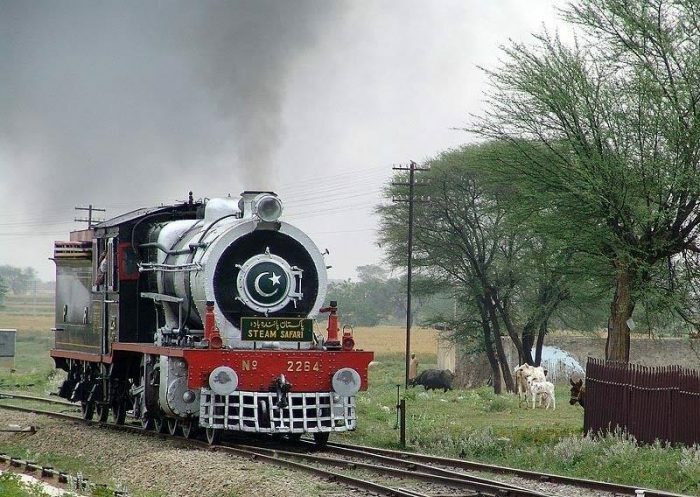 “Therefore, efforts will be made to restore all the dysfunctional railway lines in the province.” The minister also asked the railway officials to start the reconstruction work on the Peshawar to Torkham railway line for the historical Safari train. He also stressed the need to renovate Safari train coaches so that it may be more alluring for tourists. The senior minister also agreed that a restaurant will also be set up at Attock Khurd railway station. During the meeting, it was agreed that Safari Tourist Train from Peshawar to Attok Khurd will be run on regular bases to attract and facilitate the local and foreign tourists in the province. Takht-e-Bhai is one of the nine stations on Nowshera to Dargai railway station constructed by the British government in 1886. The total length of this railway line is 64 kilometres (40 mi). The stations including Rashakai, Mardan, Gujaro Ghari, Takhtbhai, Hatyan, Risalpur, Kalpani and Dargi however, all of them are lying in deserted condition now. According to Railway officials, the line was fully operational until 1992 when the arrival and departure of freight wagons and passenger coaches from Karachi to Dargai and other parts of the country was a routine matter.